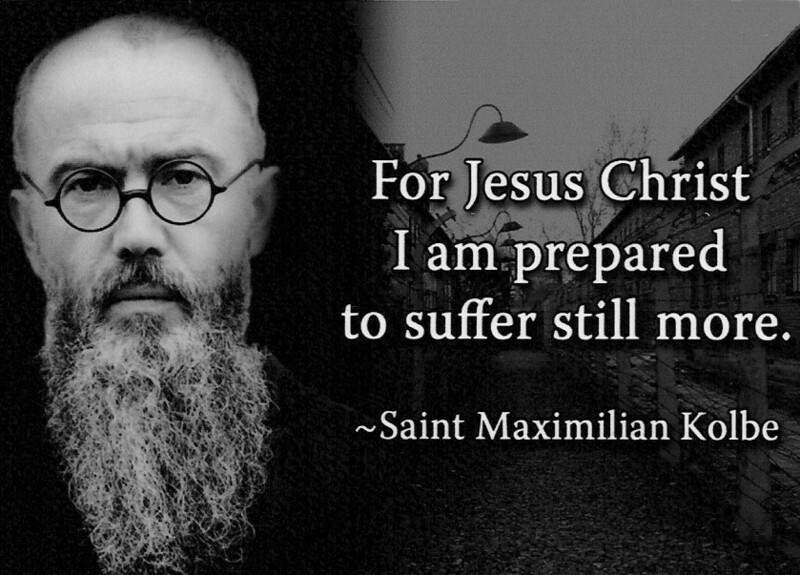 Especially on the Feast of St. Maximilian. O Lord Jesus Christ, Who said, "greater love than this no man has that a man lay down his life for his friends," through the intercession of Saint Maximilian Kolbe whose life illustrated such love, we beseech Thee to grant us our petitions. (Mention your intentions here) Through the Militia Immaculata movement, which Maximilian founded, he spread a fervent devotion to Our Lady throughout the world. He gave up his life for a total stranger and loved his persecutors, giving us an example of unselfish love for all men -- a love that was inspired by true devotion to Mary. Grant, O Lord Jesus, that we too may give ourselves entirely without reserve to the love and service of our Heavenly Queen in order to better love and serve our fellow man in imitation of Thy humble servant, Saint Maximilian. Amen. Recite 1 Our Father, 1 Hail Marys and 1 Glory Be each day.